State's Football Association and newly formed Manipur State League Participating Teams Forum (MSLPTF) have reached an impasse regarding former body's demands regarding better management of the league. League matches were suspended after Football Referees' Welfare Association refused to conduct any more matches after a Referee was assaulted by supporters and officials of Sagolband United after their match against NEROCA FC on Oct 10 at Mapal Kangjeibung. All Manipur Football Association called a meeting on October 13 of all the Clubs and levied fines on Sagolband United Officials. On 14th October, All the Participating teams met and decided to constitute MSLPTF to redress their grievances. Dr. K. Imoton Singh was chosen as the convener of the body. The forum submitted a Charter of Demands to the State's Football Association to be resolved after which the league can resumed. 1. Grade 1 referees must be given the charge of officiating matches of Manipur State League and with the need arise, outside referee(s) shall be asked to officiate certain match(es) for the smooth conduct of matches. 2. AMFA should avoid imposing of fines to clubs without the consent of the forum MSLPTF. 3. Proper security arrangements should be made to protect two playing teams and the referees. 4. Up-to-date medical facilities be provided during matches. 5. Man-of-the-match shall be declared and awarded in every matches of the league. 6. Ladies toilet facilities shall be provided at venues of the league. 8. Live Media coverage must be ensured in every match of the league. 9. Revenues from match day tickets shall equally be shared to the two playing teams and AMFA. 10. VIP category seats must be reserved for at least the Presidents and Secretaries of the playing teams. 11. Frequent changes of league rules shall be avoided and if changes are to be made within the ambit of the All India Football Federation, MSLPTF must be consulted well in advance. 12. 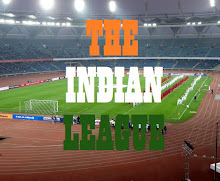 Scheduling matches of a particular team in alternate days shall be avoided at any cost to avoid physical exhaustion of players and fixtures be made as per the guidelines of the All India Football Federation(AIFF). 13. 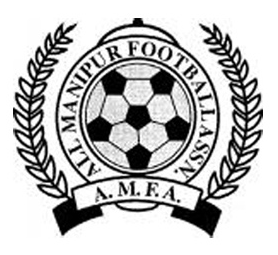 Problems arising from match(es) of the league shall be solved jointly by MSLPTF and AMFA. 14. Problems arising between AMFA and Sagolband United in the aftermath of the unfortunate post-match incident of the 47th league match be solved between AMFA and MSLPTF. 15. Until and unless the above mentioned demands are taken into serious consideration by AMFA, the forum resolved to boycott the ongoing 12th Manipur State League 2017.